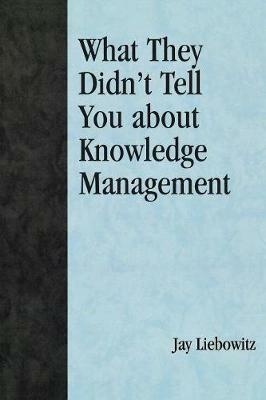 There are a myriad of books that have been published on knowledge management. However, very few of these books give the practical know-how of what truly is needed in the information professional/manager's mind: how to make the decision whether knowledge management is right for you; how to explain the pros and cons of the various knowledge management alternatives/solutions; how to determine which knowledge management solution, if any, is the best fit with your organizational culture; how to explain the way to show the expected value-added benefits of using knowledge management; and how to discuss lessons learned in applying knowledge management (i.e. how others have utilized KM techniques for enhanced decision making).